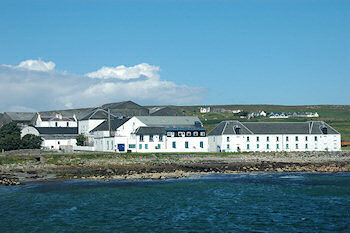 On Sunday the Scotsman published an article Islay distiller sets its sights on growth as it knocks back bids. While Mark Reynier has received four offers over the last year the board has rejected them all. Instead he is planning to grow the distillery, from a current 35,000 cases to a projected 60,000 cases with an annual turnover of £12m+ in 2012. He even sees potential to grow the distillery to 150,000 cases (not sure if that's Bruichladdich alone or if that includes the as yet unfinished Port Charlotte distillery they've finally received planning permission for), which would obviously take them past the £30m turnover mark. Note: If you've seen £10m mentioned, there was a mistake in the first edition/version of the article. Why would he and his shareholders sell something like that? Now I wouldn't claim that I ‘know’ Mark, but I've met him and see at least some of the output of his work. My impression is that he really loves his work and living on Islay. He's certainly opinionated and has his own style, while I don't always agree with it I respect it and like him for it. Different to the usual blandness and uniformity we see from far too many company bosses. Which leads me to my last point why I'm wondering if a sale of Bruichladdich is even feasible: At least to me Bruichladdich lives from the team. Now this doesn't only apply to Bruichladdich (more thoughts about that in another entry), but I feel in particular to Bruichladdich. Would it really be the same if the distillery was sold and quite possibly at least some of them left or were being tamed by corporate bureaucracy?